Our special natural soy wax blend has been expertly formulated to provide maximum hydration and increase the absorption ability of the essential oils to maximise their effect. It may help soften, moisturise and nourish the skin. This product not only contains high quality 100% soy wax, high grade essential oils and added jojoba oil, but is designed so that you can use the oil directly onto the skin providing a lovely warmth before the massage begins. Blended with joyful orange and refreshing geranium essential oils. Soy Wax, Jojoba Oil, Geranium Essential Oil, Sweet Orange Essential Oil. Hydrogenated Soybean (soy) oil, Simmondsia chinensis (jojoba) seed oil, Pelargonium graveolens (geranium) flower oil*, Citrus aurantium dulcis (sweet orange) peel oil*, Citral*, Citronellol*, Geraniol*, Limonene*, Linalool*. 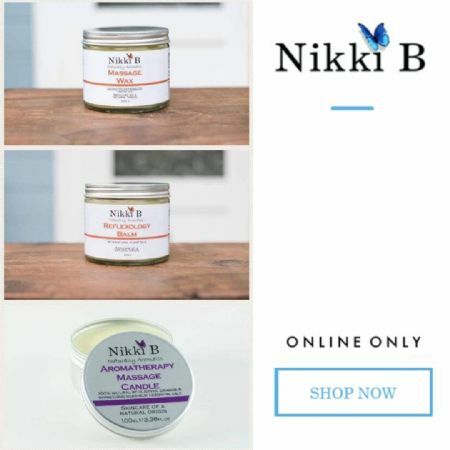 Nikki B Massage Wax is based on a wonderful combination of apricot kernel oil, olive oil, beeswax and vitamin E which offers a perfect medium for massage leaving your client’s skin feeling extra soft and nourished. A little will go a long way, simply smooth a small amount of the wax onto the skin and enjoy the instant soothing & hydration. Use a clean spatula to decant the desired amount of product into a disposable bowl for each application. This product is not suitable for for use during pregnancy or for children. Currently available in 200g Glass Jar. 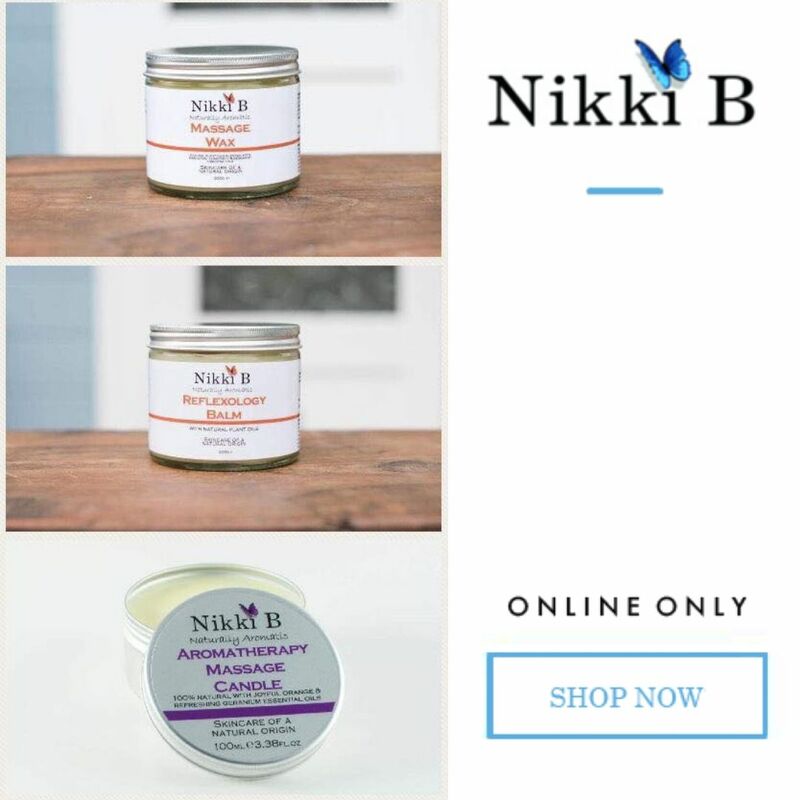 Nikki B Reflexology Balm is based on a wonderful combination of apricot kernel oil, cocoa butter, beeswax and vitamin E which we find offers a perfect medium for reflexology and it will leave your clients skin extra soft and nourished. A little will go a long way so simply smooth a small amount of the balm onto the skin and enjoy the instant soothing and hydration. Use a clean spatula to decant the desired amount of product into a disposable bowl for each application.